Ka Wai Ola Family Medical Clinic serves all residents of Waipahu, Hawaii, including newborn babies and children. Dr. James Okamoto provides comprehensive pediatric health services such as well baby and well child examinations and monitoring of growth and development of infants through teens. What’s the difference between family practitioners and pediatricians? When choosing a doctor for your child, you want a physician with trusted medical expertise, a gentle touch, and the natural ability to connect with your child. During your search, you may wonder about the differences between a pediatrician and a family practitioner like Dr. Okamoto. The answer is simple: pediatricians specialize in treating children, while family practitioners treat the entire family — including newborn babies, children, and adolescents. Family practitioners are trained in pediatrics, and Dr. Okamoto has more than 20 years of experience, so you can count on his expertise, not to mention his compassionate care. If you have any questions, don’t hesitate to call Ka Wai Ola Family Medical Clinic. We’ll provide answers to your questions, give you a tour of the clinic, and schedule a time for you to meet with Dr. Okamoto. 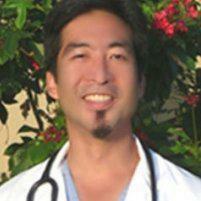 Does Dr. Okamoto provide care for newborn babies? Don’t forget that as a family practitioner, Dr. Okamoto can help parents with more than baby-related concerns. He’s also here to offer post-partum care and to talk with fathers and other family members who have any questions about your precious new baby. Are well-child services available at Ka Wai Ola Family Medical Clinic? Dr. Okamoto follows your child through all stages of development, including regular well-child visits. Well-child examinations are important for tracking physical, emotional and cognitive developmental milestones, monitoring hearing and vision, keeping up with immunizations, and screening overall health. Well-child visits give parents the opportunity to talk with the doctor about nutrition, exercise, sleep habits, and safety issues that might arise inside and outside your home. If this is your first child, you may find it helpful to learn about what to expect as your child grows. The staff at Ka Wai Ola Family Medical Clinic can also help put you in touch with community services if you need extra support.